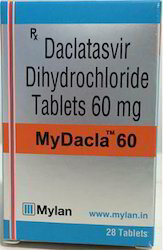 Offering you a complete choice of products which include natdac tablet, daclahep tablet, evertor tablets and mydacla tablet. 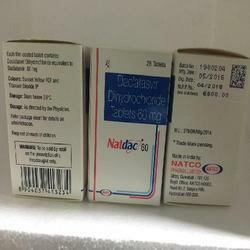 Clients can avail from us an extensive array of Natdac Tablet that are used for the treatment of patients with chronic HCV genotype 3 infections. These tablets are formulated utilizing finest quality chemical compounds under the direction of our adept professionals. In addition, our offered tablets are safe to consume and are free from any kind of impurity. Our offered range of tablets is available in varied quantities at market leading prices. 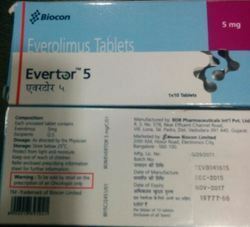 Bestowed with an ingenious team of designers and advanced production unit, we have been able to introduce an exclusive range of Evertor Tablets. These tablets are considered as the protein supplements. The offered tablets are given to the patients to strengthen the protein quantity in blood. Also, the offered tablets are formulated using healthy chemical compounds and salts at vendor’s end. Furthermore, after several clinical tests and certification, we then offer the tablets to the clients. 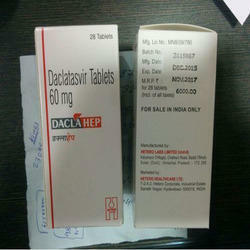 Looking for Daclatasvir Tablets ?